LucasArts has partnered with Day 1 Studios of Chicago to bring you Fracture a third person shooter set in 2161 in a dystopian USA. Environmental neglect over many years has split the nation into two opposing civilizations right down the middle. So both East and West coasts have opposing ways of life. Both East and West are striving for a new, safe future. The Atlantic Alliance has been working on cybernetics and technology, while the Pacifican States in the West have put their energies into stem cell research and genetic engineering. Both are striving for a better way of life. The future of mankind is at stake as these two conflicting civilizations use their chosen ideologies in a deadly civil war. It is your task to guide Atlantic Alliance soldier Jet Brody in his mission to suppress the Pacifican uprising in the ravaged San Francisco bay. Jet must utilize the power of Terrain Deformation to solve puzzles, create cover and revolutionize battlefield tactics. 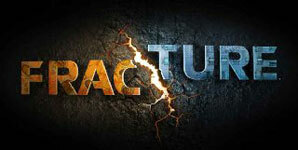 Fracture releases for Xbox 360 and PlayStation 3 on October 7, 2008 in North America and on October 10, 2008 in Europe.